In this series, we analyze the use of the Hero’s Journey framework in The Last Jedi to advance the story arcs of the main characters. The first post discusses how the Hero’s Journey models fit within the structure of a Star Wars movie trilogy, and examines Rey’s path in the film as an extended metamorphosis phase of her overall heroic journey. The second post considers Finn’s development in the next stage of his story and the character archetypes in the film. In this post, we assess a character who is much farther along in his life’s journey, Luke Skywalker, and compare his later-stage heroic cycle to two other Jedi Masters in today’s Star Wars storytelling. Needless to say, Luke Skywalker’s character arc does not advance in The Force Awakens when his sole appearance is limited to a silent, mournful turn-and-lower-the-cowl interaction with Rey in the movie’s epilogue. In dialogue from other characters, though, particularly Han, we learn hints of what has transpired for Luke since Return of the Jedi. In The Last Jedi we learn a great deal more about those past events – and see glimpses of them in memories – but also witness Luke undertake the final cycle of his Hero’s Journey. Few characters, even in a sprawling epic saga like Star Wars, are able to earn the storytelling endurance to give the audience the chance to watch them grow and change multiple times over the span of their tales. 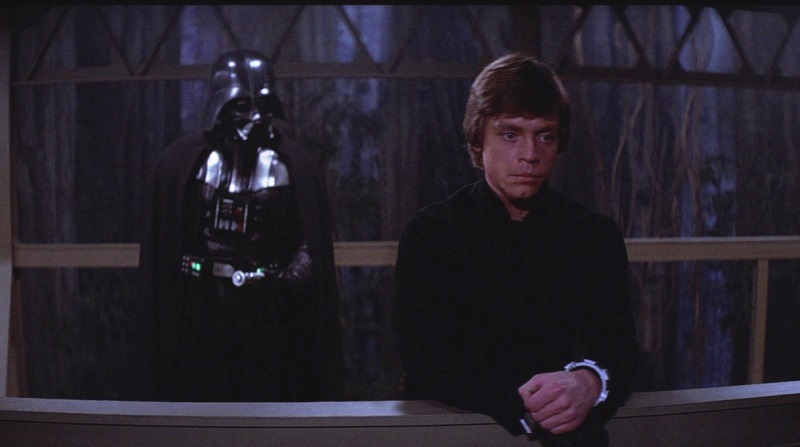 This makes Luke an interesting character to analyze from the perspective of the Hero’s Journey, because the films portray his path through three iterations of an heroic cycle. Luke’s first cycle occurs in A New Hope. His story arc in that film is an iconic example of the Hero’s Journey, frequently associated with Campbell’s framework and explicitly discussed and analyzed by Volger. We meet Luke in his ordinary world, the dull life of a moisture farmer who yearns for something more up in the stars. Once the droids arrive, though, it is not long before Luke is crossing the threshold into the extraordinary world of adventure. Even before he physically leaves Tatooine aboard the Millennium Falcon he has met his mentor and found allies, learned about the existence of the Force and his father’s lightsaber, and pledged to become a Jedi and oppose the Empire. Luke’s metamorphosis from farmboy to hero involves the lessons from Kenobi on the Falcon and his experiences and choices on the Death Star. By the end of the film, Luke commits to the Rebellion, surrenders to the guidance of the Force for the first time, and fires the shot that destroys the Death Star. Campbell’s framework influenced George Lucas not only in the crafting of the first movie, but also in the shape of Luke’s path in The Empire Strike Back and Return of the Jedi as another iteration of the Hero’s Journey. 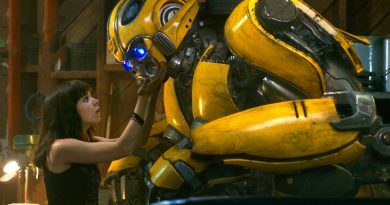 The second film in the Original Trilogy serves as an extended “Initiation” phase, building on the “Departure” established in the first film. Luke faces a series of trials on Hoth, barely surviving his abduction by the wampa before aiding the Rebellion in its narrow escape from the Imperial assault on Echo Base. He then confronts further trials in his Jedi apprenticeship on Dagobah, from his initial misjudgment of Yoda to his failure in the tree cave. Luke’s last test is his vision of his friends in danger, and he rejects the admonitions of Yoda and Ben Kenobi to stay to complete his training. As a consequence, he is unprepared in both Jedi skills and emotional fortitude for his duel with Darth Vader and the revelation of his father’s true identity. 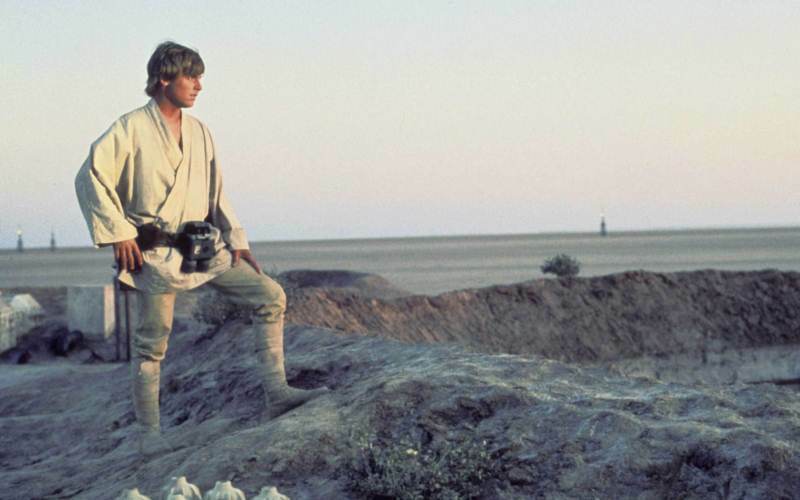 The concluding film of the Original Trilogy marks the “Return” phase of Luke’s Campbellian journey, in which he must integrate the ordinary and extraordinary worlds to complete his transformation. The execution of his plan to rescue Han from Jabba’s palace demonstrates the confidence and resolve Luke has developed despite his failures on Cloud City. Revisiting Dagobah, he receives confirmation from Yoda that he needs no further training, but also the grim truth that he must face Vader again to become a Jedi Knight. Aboard the second Death Star, Luke synthesizes the values of his ordinary world – the love and compassion for family instilled in him by Owen and Beru, honoring the legacy of his mother – with his spiritual training in the Force to find the path to saving his father and defeating the Emperor. He ends Return of the Jedi in a new ordinary world, celebrating the victory over the Empire with his friends, with the warm smiles of three Force ghosts assuring him of his successful completion of his heroic cycle. Luke’s third heroic cycle is his transformation from Jedi Knight to Jedi Master. So far, this story remains untold on its own terms, although The Last Jedi and various ancillary stories and sourcebooks provide the broad brushstrokes of his path. After the Empire’s final defeat by the Rebellion at the Battle of Jakku and the formation of the New Republic as the governing authority for much of the galaxy, Luke could turn his attention away from the war and to the task Yoda had set for him: to pass on what he had learned about the Jedi way. Initially he focuses on recovering as much knowledge about the Jedi, and other perspectives on the Force, as he is able to track down after the Emperor’s vicious purges. Ultimately he forms a Jedi training temple, taking on a dozen students including his nephew Ben Solo. At this point Luke has become the teacher, not the learner, earning the title of Jedi Master. When it comes to mastery of the Force, however, simply attaining a rank in the Jedi Order is not the pinnacle of accomplishment. Instead, the deepest secrets of the Force come only from true self-awareness, the kind that allows a Jedi to “become more powerful than you can possibly imagine.” Until now, only three Jedi have been shown to have reached this transcendental state of understanding: Qui-Gon Jinn, Obi-Wan Kenobi, and Yoda. Like them, Luke’s path to transcendental mastery of the Force – his fourth cycle in his heroic journey – is marred by tragedy and failure. Qui-Gon was alienated from the Jedi Council for his unorthodox views, then struck down still in his prime after discovering the vergence in the Force centered on young Anakin Skywalker. Obi-Wan watched his former apprentice and best friend succumb to his own worst emotions, falling to the dark side and becoming Darth Vader. Together, Kenobi and Yoda watched the Sith massacre the Jedi and destroy everything the Order had sought to preserve for millennia. Luke, too, suffered the loss of his dearest pupil to the dark side, the massacre of his other students, and the rise of the First Order seeking to undo the good achieved by the Rebellion and the New Republic. 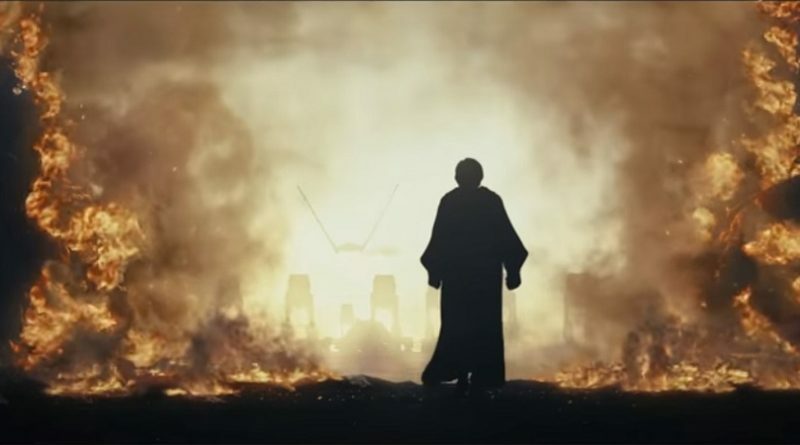 In The Last Jedi, Luke learns that he has failed – not because those tragedies occurred on his watch, but because he walked away from his heroic cycle in response to them. Luke is wrong that the Jedi need to end; he is wrong that he should not have trained more apprentices. The arrival of Rey at Ahch-To is another test for Luke, likely the first one he has faced since committing to his terminal exile. Luke fails this test, too. It is only when she has left, flying away in the Falcon to try to reach the good inside Kylo Ren, that Yoda appears to Luke outside the island’s library. The transcendental Jedi provides one more lesson to the Master still stuck in the trials of his fourth cycle: the only failure is giving up. It is too late to offer any more in-person training to Rey, but not too late to bring the legend of Luke Skywalker back to the galaxy. The effort is too much for his physical body to bear, but spiritually Luke reaches the state of acceptance that he had denied himself for years. He must let go of his grief and regret, releasing those selfish emotions and surrendering to the selflessness that comes with the light side of the Force. In doing so, in finding “peace and purpose” in his sacrifice, Luke realizes that he has given the galaxy, and Rey, the final act they needed from him. For more on Luke Skywalker and his Wizard’s Journey in The Last Jedi, check out Tricia Barr’s feature article in Star Wars Insider #180, coming soon. In considering Luke’s later heroic cycles to become a Jedi Master and a transcendental mystic, it is worth examining the similarities to two other characters in recent Star Wars storytelling, as seen in Star Wars Rebels. One is Kanan Jarrus. As a Padawan named Caleb Dume who fought in the Clone Wars, he has an extensive background in Jedi tutelage from years in the Jedi Temple on Coruscant. After barely surviving Order 66, though, he changes his name and conceals his Jedi identity. The Kanan comics and the novel A New Dawn show glimpses of the life in hiding, often in the underworld, that Kanan lived to survive under the reign of the Empire. The premiere of Star Wars Rebels, “Spark of Rebellion,” shows Kanan’s heroic journey as a Jedi resume, as he openly wields his lightsaber against stormtroopers to save the mission. Over the course of the first season, culminating in his final duel with the Grand Inquisitor, Kanan completes his own personal informal Jedi trials and becomes a Jedi Knight. But now the Ghost crew has adopted Ezra as one of their own, and Kanan must figure out how to teach him about the Force. Like Obi-Wan at the end of The Phantom Menace, Kanan is a newly minted Knight himself when he takes on the challenging task of training a Jedi apprentice. The second and third seasons of Rebels portray Kanan’s next heroic cycle. At first he struggles to train Ezra, even reaching the point of believing he is incapable of being Ezra’s master, before he and his apprentice realize that neither one of them can fulfill their potential without the other. Kanan is challenged by the countervailing temptation offered by Maul, and Ezra’s misplaced trust in Maul ultimately leads to Kanan’s blinding. On Atollon it is The Bendu who helps Kanan realize how much more about the Force he still has left to learn. Though Phoenix Squadron is nearly vanquished and the Ghost crew barely escapes Thrawn’s assault alive, Kanan tells Ezra he has hope – because Kanan has emerged from his trials as a Jedi Master. With the fourth season of Rebels still ongoing, it is too soon to know how Kanan’s story resolves. The other character experiencing a further heroic cycle is Ahsoka Tano. 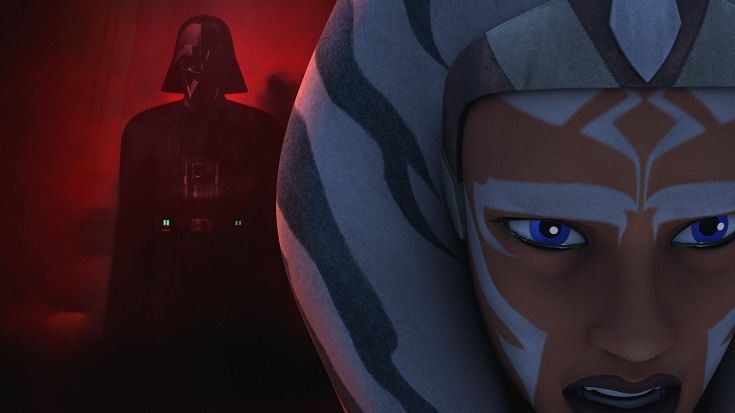 At the end of The Clone Wars animated series, Ahsoka has left the Jedi Order after their betrayal in not supporting her when he was framed for murder and treason. Although she is not a Jedi Knight in the formal sense for that reason, her choices during that crisis, and her willpower in refusing the Order’s offer to rejoin upon her exoneration, demonstrate that Ahsoka has completed her first heroic cycle from eager Padawan to serene Jedi Knight. In a tale still untold, Ahsoka briefly revived her cooperation with the Jedi and Captain Rex by taking command of the 501st from Anakin during the Siege of Mandalore, occurring simultaneously with the opening battle of Revenge of the Sith. The novel Ahsoka by E.K. 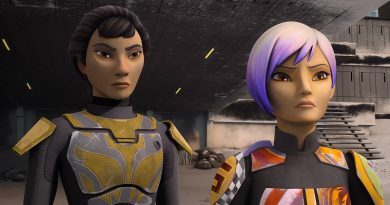 Johnston portrays part of Ahsoka’s story after escaping Order 66 and faking her own death, eventually leading her to Bail Organa and a role in the Rebellion as the covert agent Fulcrum. Ahsoka presumably did not have meaningful interactions with other Jedi, though, until the events in Star Wars Rebels, when she reveals herself to the Ghost crew at the end of season one. At that point both Kanan and Ezra are still very much in need of guidance – and self-aware of that need, as well – about their respective journeys along the Jedi path. Over the course of season two, Ahsoka becomes a Jedi mentor figure to each of them in different ways, drawing on her own past as a Padawan to help Ezra with the struggles of being an apprentice and Kanan with the challenges of being a teacher. At Malachor her destiny brings Ahsoka’s journey full circle to a showdown with her fallen former master. Like Obi-Wan in A New Hope and Luke in The Last Jedi, Ahsoka accepts that her highest duty as a master is to be willing to sacrifice herself so that the heroes of the future can escape and survive to continue the fight against the darkness another day. Part Four continues with Kylo Ren and the Villain’s Journey.